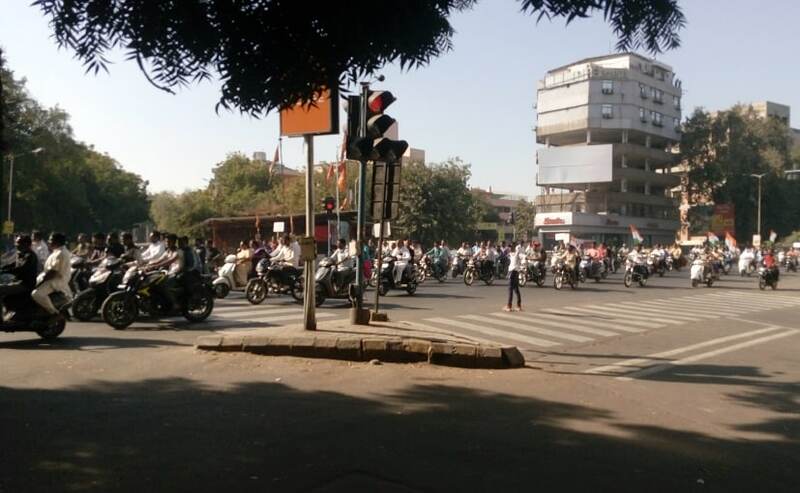 A total of 15 key junctions across Ahmedabad were selected to observe the behaviour of two-wheeler riders when it comes to adhering to helmet and stop-line discipline. The team monitored video footage from four key time slots across the day - morning 9:30 -10:30 am, afternoon 1:30 - 2:30 pm, evening 6:30 - 7:30 pm and late evening 10:00 - 11:00 pm. This included both peak and non-peak hours for a weekday and a weekend. CEPT also says that a total of 70,000 riders from 15 the locations were observed during this study.